Location, Location, Location! You want a home in a PRIME Location in Province? Corner Homesite with Water Views from EVERY WINDOW in the HOME! Walking distance to the Clubhouse. This popular Gardenia floor plan has 10' ceilings, Gourmet Kitchen with HUGE Walk in Pantry, Two Master suites, Plus a Den with Double Doors that could easily be converted into a 3rd bedroom. 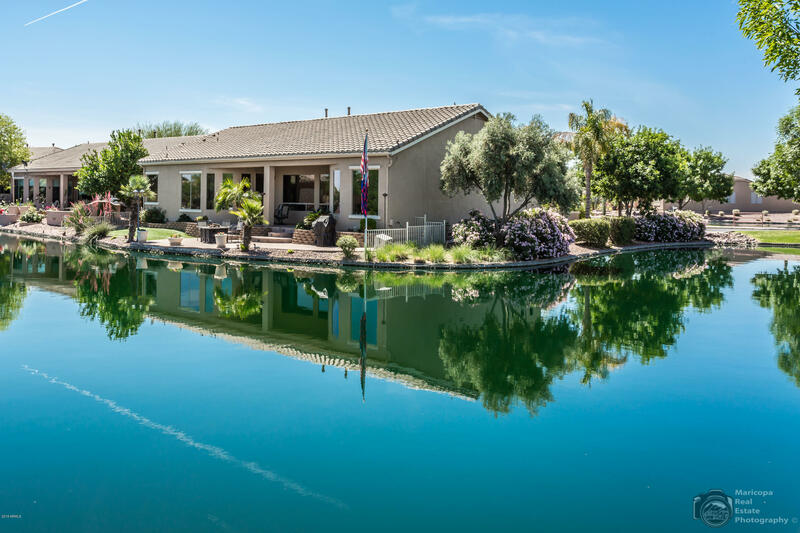 Magnificent backyard with Paver Extended Patio down to Lake. Fireplace on back Patio and all concrete flower pots are included with this home. Appliances, Gas Water Heater and Exterior Paint are all just 2 years old. Brand new interior paint. All Appliances are Included with this home including Washer and Dryer. Home also has a 4' Garage Extension with Built in Cabinets and Extended Driveway. The driveway is 50' long for continent loading & unloading RV. Radiant Barrier in attic keeps it 35% cooler. Front courtyard offers another wonderful space to enjoy your water views. This home is priced to sell quickly!